In the modern-day retelling of Jack and the Beanstalk, a young man is looking for a way to help out his financially stressed single mother. 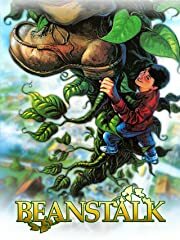 Finding a handful of magic seeds, Jack plants them and soon discovers that a gigantic beanstalk has sprouted, leading into the sky and to a strange but remarkable world of giants and adventure. Margot Kidder and Richard Moll co-star in this epic adventure.